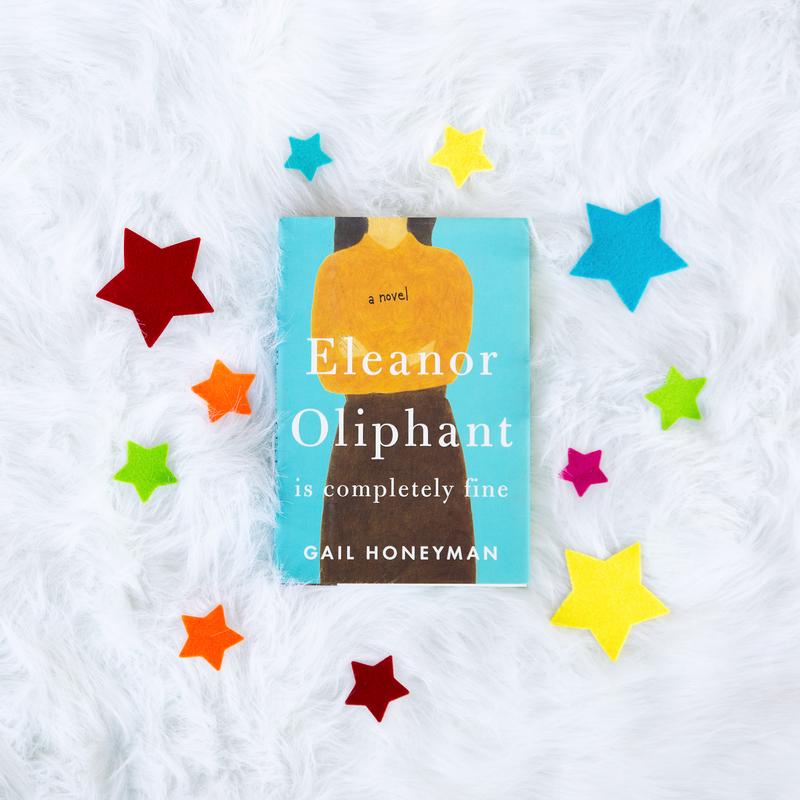 My favorite books always feature beautifully flawed, quirky characters, and Eleanor Oliphant is one of the best of those characters to whom I have been introduced for quite some time. Gail Honeyman has crafted a delightfully eccentric character whose tragic past left her scarred, both literally and figuratively, and the story of her journey to understanding and accepting that past and the ways that it has shaped her identity is told in a beautifully insightful way that covers a great expanse of emotions. Eleanor Oliphant is very unique. She lives alone, sticks to very strict routines, and has a frankness that is very often off-putting to those around her. She speaks to her mother on the phone once a week, and the reader is led to understand that her mother is in jail for reasons somehow connected to a fire in Eleanor’s childhood and her resulting placement with social services, but the details of Eleanor’s childhood do not become clear until the end of the book. Eleanor develops a bit of an obsessive crush on a local musician, drinks entirely too much vodka, and makes her first real friend in a recently hired coworker, Raymond. Throughout the course of the book, readers are provided with a first person point-of-view that is different from any other narrator I have ever read. Eleanor views the world in fairly black and white terms. When she treats herself to a manicure for the first time, she very honestly tells the reader (and the manicurist, actually) that she could have done a better job herself for free. She does not understand many pop culture references, and I found her reaction to a Spongebob Squarepants helium balloon quite delightful. Her difficulty understanding human emotions and the emotional needs of others was intriguing, and her interactions with others were sometimes cringe-worthy and many times humorous. Above all else, I found Honeyman’s writing style to be very descriptive in a way that enabled me to envision the characters and events in the book in my head, but also to understand exactly how they felt. As someone very familiar with clinical depression on a personal level, I found Honeyman’s description of Eleanor’s thoughts and feelings spot-on. Eleanor is one of those characters who has tried to make loving her very difficult, but I knew from the first chapter that her efforts would make me love her even more dearly. Eleanor Oliphant stole my heart. Posted in FictionTagged book review, Eleanor Oliphant is Completely Fine, Fiction, Gail Honeyman, pamela dorman books, quirky charactersBookmark the permalink.